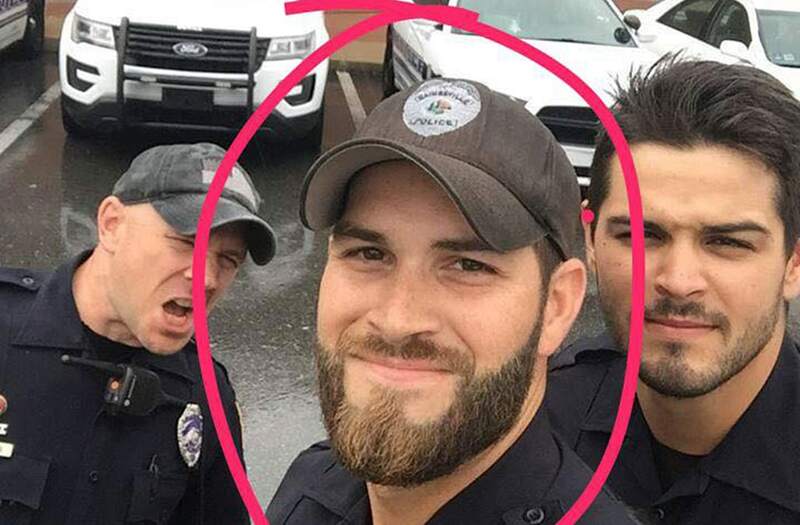 GAINESVILLE, Fla. (WGHP) -- One of Florida's "hot cops" is facing backlash for allegedly making anti-Semitic Facebook posts. On Sept. 10, the Gainesville Police Department posted a photo of officers Michael Hamill, John Nordman and Dan Rengering getting ready to work during Hurricane Irma. The post quickly went viral, gaining more than 530,000 likes and 281,000 shares, and attracting comments from women worldwide. "The hunkapotumus is a rare, elusive, and mythical creature," Jaime Lee Daniels wrote in the comments. "Here we are lucky to see 3 huddled in the wake of Hurricane Irma. I'm a well trained hunkapotumus handler. Send them my way and they will be well taken care of." Kelly Susan added, "Heading to FL. Need assistance ... of some kind ... I'll think of something." Now, Officer Michael Hamill is under investigation by the department after two screenshots show him allegedly making anti-Semitic statements on his personal Facebook page, The Gainesville Sun reports. Another post from 2011 reads, "Stupid people annoy me. put them in an oven and deal with them the hitler way. haha."